Kaltura My Media has been added by default into everyone's My Workspace. This tool lists all media that have been created, uploaded, or shared with the individual logged in. No one else can view this library other than the owner. Click on the blue "Add New" button and then select Media Upload. Click "Choose a file to upload", then browse your computer for the file. Once you select the file you want to upload, you will be required to input a name for your media - make it as descriptive as possible. 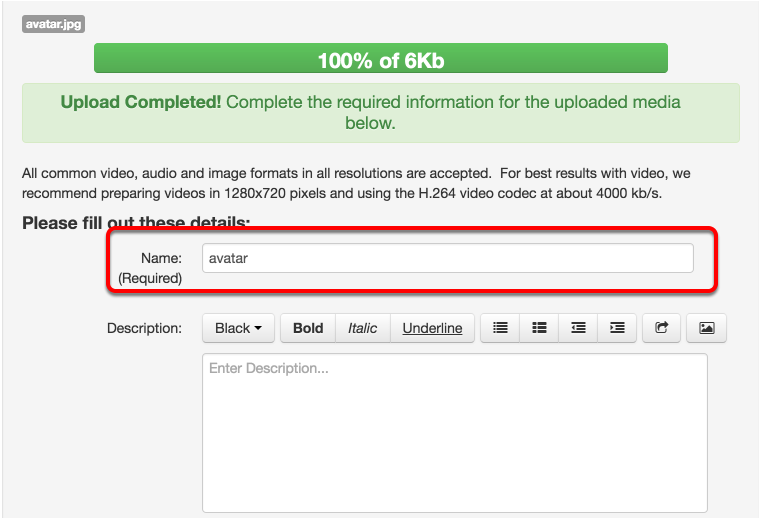 You also have the option to add a description or tags. 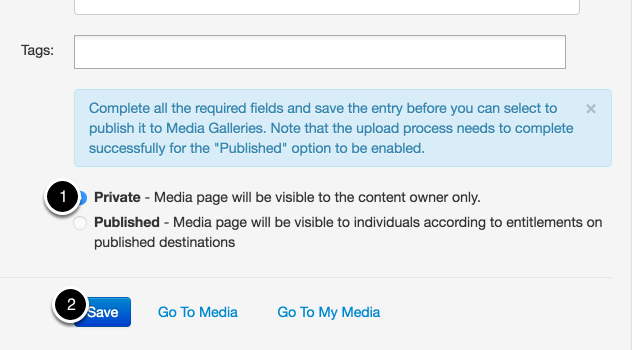 Initially, you may only set the file to Private; however, you may later Publish it to a specific course site via the Media Gallery tool. When you naviagate back to My Media you will now be able to view your recently uploaded media.